The Slimming World Files: I CAN Do This!!!!! If I keep saying it, it'll happen right? That's it. The line is drawn. No more messing about, no more binge eating and no more succumbing to cravings which do untold harm to my state of mind. It's done. Today has been a 100% on plan day, and it's felt good. Despite waking up still feeling stuffed and rather ill after the overindulgence of last night, I had breakfast, as I wanted to get back into my good habits, so it was a small, but perfectly formed meal I enjoyed. I would probably have had more but the strawberries were bloody tiny and I quite frankly, couldn't be arsed to chop up anymore ;o) With breakfast eaten, I pretty much had to get myself up and out ready for work. At least there are only 4 days in this week after me getting a swap for yesterday so I could do our Harbour Radio show. When I left, I reminded Hague to pick up a Woman's Own magazine and headed off. SQUEE!! This has been on the horizon for a while now, but I was so pleased with how the story was written and just how good it all looks, I'm so pleased. Let's be honest, I shouldn't need any more motivation than that should I really? It's definitely made me remember how far I've come, and how much I have to lose should I regain the weight. The reasons worked so well for me, and I think the fact that I've achieved most of them isn't helping my focus, so perhaps I need to work on another list to get me through these last few stone to target. It can't hurt anyway! I may have been very excited, but it didn't stop me wanting dinner! Very cheesey pasta there, with a tub of LowLow and topped with 6 syns worth of grated cheese. Just what I fancied! Dessert was simple, and partly courtesy of a bargain run after we finished on the radio last night. Quite a modest food day today, probably my body has had enough food shoved into it over the last few days and is having a bit of a break! With an on plan day under my belt, no excuses not to do this, and my national magazine debut, today has been a good day. I shall do my utter best to ensure it's the first of many, and to ensure I stay on this bus until the day that Claire hands over my target certificate, the target I set all those months ago. Because I CAN do this, and I WILL do this, be it for my 40th or 41st birthday. 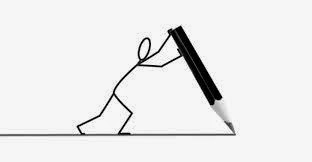 The holiday is over, it's back to work time for this Slimming World Gal. I'm back, and I'm ready to do this thang! 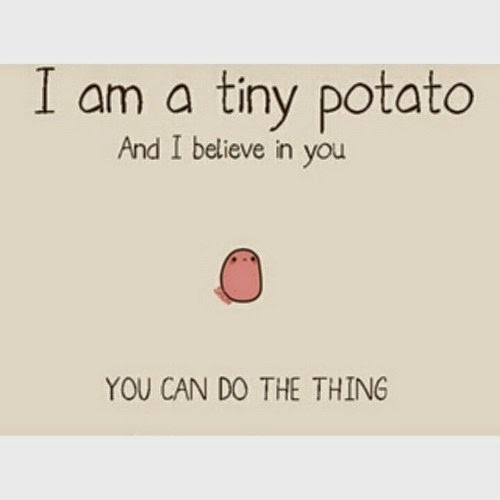 Tiny potato is wise, tiny potato believes in me. I will do the thing. I will get to target. The end game starts today.